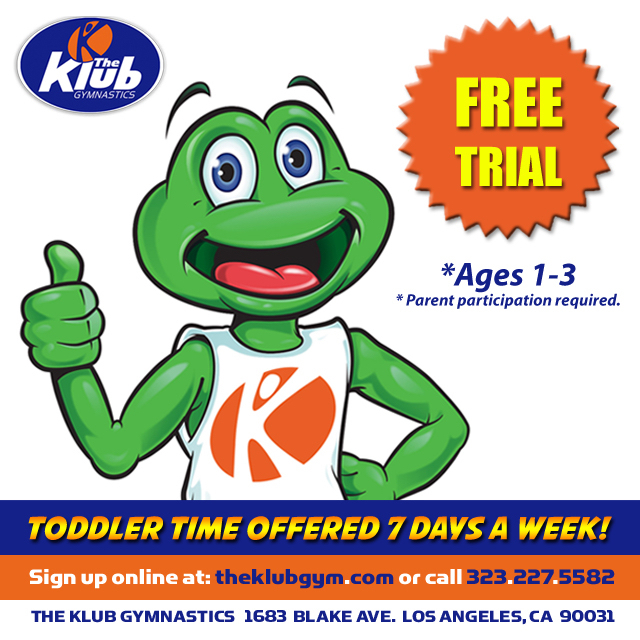 The Klub Gymnastics’ Klub Kamp program in session Monday February 18th. 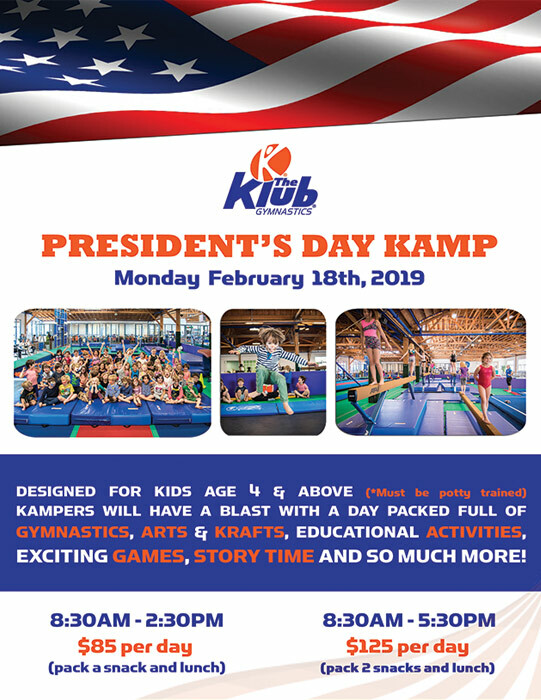 LOS ANGELES, California; January 31st, 2019 – Join The Klub Gymnastics on President’s Day, Monday, February 18th at Klub Kamp for gymnastics, fun-filled activities, exciting games and creative arts & krafts and more! Designed for kids age 4 and above, Klub Kampers will have a blast with days packed full of gymnastics, exciting games and so much more! The Klub Gymnastics’ recreation Kamp will not only be FUN for your child, but will assist in developing athletic skills, confidence and discipline. The Klub Gymnastic’s state of the art gym is filled with top of the line equipment for your child to run, jump, swing and bounce on, and highly trained Kamp Kounselors are on hand to properly lead and train children on the fundamentals of the sport. In addition to gymnastics, Kamp at The Klub also includes educational activities, arts and krafts, story time, and a different theme for each week in the summer.